My story of Minto Island Tea Company begins with my husband. His best friend is from Salem, Oregon. His best friend’s parents still live there. His best friend’s mother knows of my love of tea. She purchased two teas from Minto Island Tea Company, based in Salem, and mailed them to me when I lived in Virginia last year. The Steamed Green Tea and the Black Tea were harvested in August 2016. I first drank them in November 2016. I finished the black tea first. I drank the last portion of the green tea earlier this year. The black tea was very good; I drank all of it very quickly. The green tea was also very good but I’m a fan of teas with a chocolate and dark fruit profile. 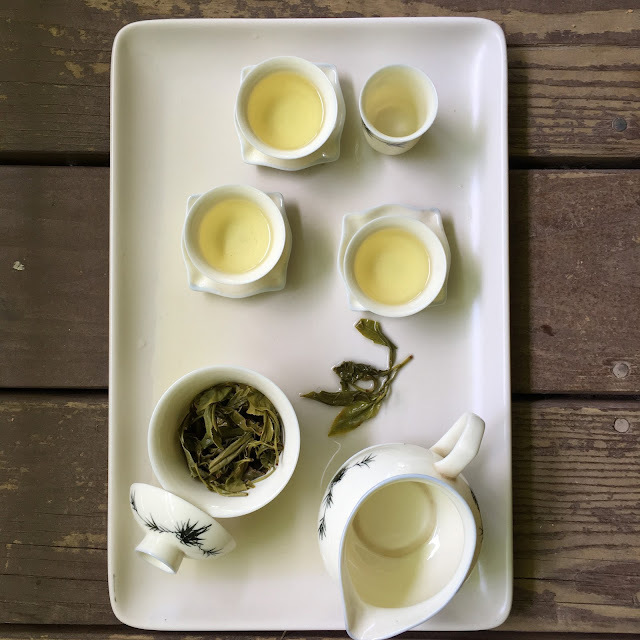 The green tea always started out mildly sweet and vegetal, but later infusions, especially when the leaf proportion was higher, yielded a more robust cup. I checked Minto Island Tea Company’s website while writing this post and new teas have not been added to the inventory, yet. In February of this year, I reached out to the company for an interview as part of this emerging series on U.S. based tea growers. My thanks to Elizabeth Miller for speaking with me about her family’s tea business. Minto Island Tea Company is part of Minto Island Growers (MIG), a direct-to- market vegetable business formed about 10 years ago by Elizabeth Miller and her husband, Chris Jenkins. The produce company has several components including a farm stand and community supported agriculture (CSA). MIG grew out of land farmed by Elizabeth’s family since the 1970s. (In addition to the farmland in Salem, her family, going back to her grandfather, owned land in Willamette Valley and Eastern Oregon. The tea company began as a half-acre tea plot planted in the late 1980s by her father, Rob Miller, and his partner, John Vendeland. The tea plot was a research venture; John had the plant materials and he and Rob experimented with various cultivars to determine which ones had flavors that would be worthwhile planting out in bigger blocks. Elizabeth became familiar with the tea plot as a child so when she Chris became interested in tea farming she already knew that these cultivars had thrived in Oregon for over 20 years. She and Chris had been harvesting and processing tea on a small scale when people began to reach out to them in significant numbers with requests to purchase their tea and to visit the farm. This enthusiastic response spurred them to apply for a Value Added Producer Grant (VAPG) from the USDA to expand their operations. With funding from the VAPG program, the small tea plot became Minto Island Tea Company. Elizabeth and Chris scaled up their tea production to sell at a public farmer’s market in Portland, a farm stand, and on the web. The farm team planted 12 acres in 2016. The original half-acre plot is the only field that is currently producing tea. 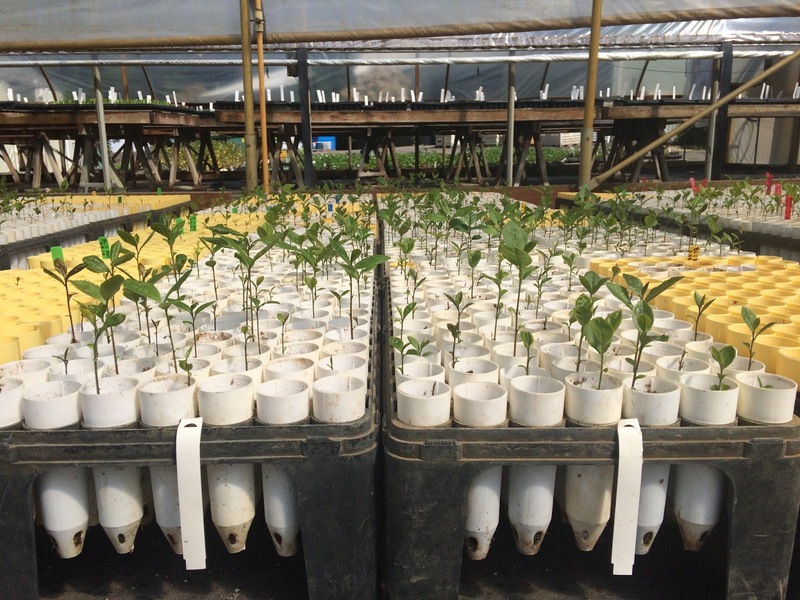 In addition, it functions as a propagation site. Also, it hosts a mix of cultivars so teas made from this plot are blends. Elizabeth and Chris would like to propagate individual cultivars of Camellia sinensis on the new 12 acres. When I spoke to Elizabeth earlier this year, she said their goal for the end of 2017 was to plant a total of 20 acres but have recently decided "10 acres is a more reasonable goal." What’s growing on Minto Island? Yabukita, Yamatomidori and Okumidori originally from Japan. Some cultivars from South Carolina as well as from Hawaii. C. s. var. assamica as well as unnamed cultivars of C. s. var. sinensis. Elizabeth and Chris would like to focus on green tea cultivars from Japan and/or on cultivars from regions with a similar climate to Japan. They both love Japanese green teas. Although they are interested in “honor[ing] and respect[ing]” Japanese green tea methods, the cultivars growing in Salem are “becoming an Oregon tea.” Over the past 20 years, they, along with Rob Miller and John Vendeland, have planted and replicated blocks of seeds from over 200 varietals across microclimate, soil, drainage, and other variables. One of the goals for their 10 acres is to produce more tea to meet demand for a customer base interested in lower price point niche products likes kombucha. They have also identified black and green teas as the two most popular tea types. As a result, they would like to cultivate more Assamica but have not found the appropriate plant materials. They are also interested in making senchas. Coincidentally, several Japanese tea farmers on a tour of the Northwest as well as a young farmer form Uni visited Minto Island Tea. They hope to visit the young farmer who offered to show them how to process and steam sencha. She has been inspired by her father to be innovative and to not be “paralyzed by history and traditions of tea.” Her father has always said, more or less, “don’t be afraid of what you don’t know.” Also, early consumers of their tea encouraged them to take the next steps to expand their company. They abandoned the illusion of “a perfect tea” for a goal to make unique teas from 20-year-old tea plants growing in certified organic conditions in Oregon. Predictions for Tea Culture in the U.S. The economics of tea production in the U.S. is challenging. It it difficult to compete with India, China, Taiwan in terms of scale and a large workforce skilled in picking and handcrafting techniques. However, there are opportunities in terms of incorporating tea into kombucha or beer. They want to pursue handcrafted teas but have found it difficult for black teas in particular. 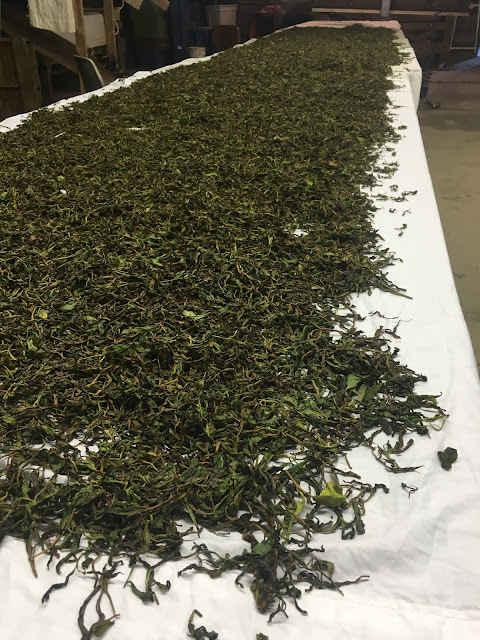 Elizabeth noted that it is “hard to get to the level of oxidation for black [tea] by hand.” Elizabeth predicts tea will remain a niche industry with potential and pointed to the evolution of Pinot Noir in Oregon. Elizabeth has an evocative way of describing the relationship between people and plants, something of deep personal and professional interest to me. She spoke passionately about humans “deep craving to interact with plants, to know the story of the plants they are consuming”. Minto Island Tea Company can fulfill this need. She is dreaming of a beautiful teahouse to host tea drinkers and to strengthen their connection to the farm.